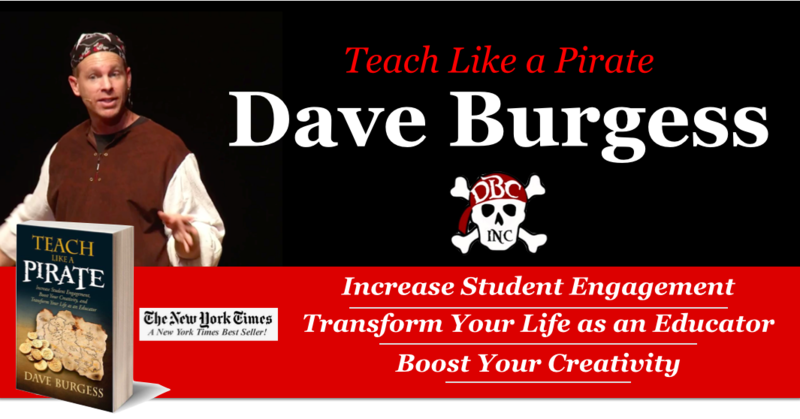 In the spirit of blog reviewing, I decided to take a look at Dave Burgess's website Teach Like a Pirate. This entertaining yet informative blog is written by New York Times best-selling author of Teach Like a Pirate, a book that offers inspirational techniques and ideas for the classroom. Dave Burgess also works as a motivational keynote speaker that "specializes in teaching hard-to-reach, hard-to-motivate students with techniques that incorporate showmanship and creativity" in his programs such as Using Magic to Teach and Amaze, Teach like a PIRATE, and ​Teach Outside of the Box. Dave uses also uses his blog to showcase innovative techniques of other teachers and useful books for the classroom. One idea that I found particularly fascinating was using Snapchat to facilitate book discussions. In this post, he invited Tara Martin, a teacher from Lawrence, Kansas, to discuss how she uses Snapchat for reading reflections. The full post can be read here. I also enjoyed reading about the book Escaping the School Leader's Dunk Tank: How to Prevail When Others Want to See You Drown. This is a more serious book - a survival guide to surviving the sometimes negative and competitive atmosphere of school administration - something that not many people talk about.